When you walk into Elise’s Tea Room, you no longer feel like you are on Atlantic Avenue in Long Beach. You are instantly transported into a time of rococo art and, most importantly, tea. The walls of Elise's Tea Room are decorated in paintings that guests can gaze at while sipping tea. The rococo inspired ceiling of Elise's Tea Room in Long Beach California. Opened in 1996, the tea room was inspired by owner Elise’s memories of having tea with her English grandmother. The modest pastel painted room is what you’d imagine an afternoon tea in London would be like, except its right here at home. Guests can pluck a hat and wear it while drinking some tea and chatting with friends. The slogan for Elise’s Tea Room is, “where tea warms the heart”―an accurate statement. You are graciously welcomed at the front and are instantly taken care of by a waiter. The selection of teas on the menu are diverse from chamomile to French vanilla tea, with the latter having a strong yet creamy taste. The foods include salads, quiche, scones and tea sandwiches. The scones are freshly-made and served with cream and jam. The tea sandwiches are tiny but tasty and come in an assortment of flavors including cream cheese and chive, black olive and apple pecan. Having tea here can come at a cost though, with prices ranging from $10 to $42 depending on the amount of food you get. 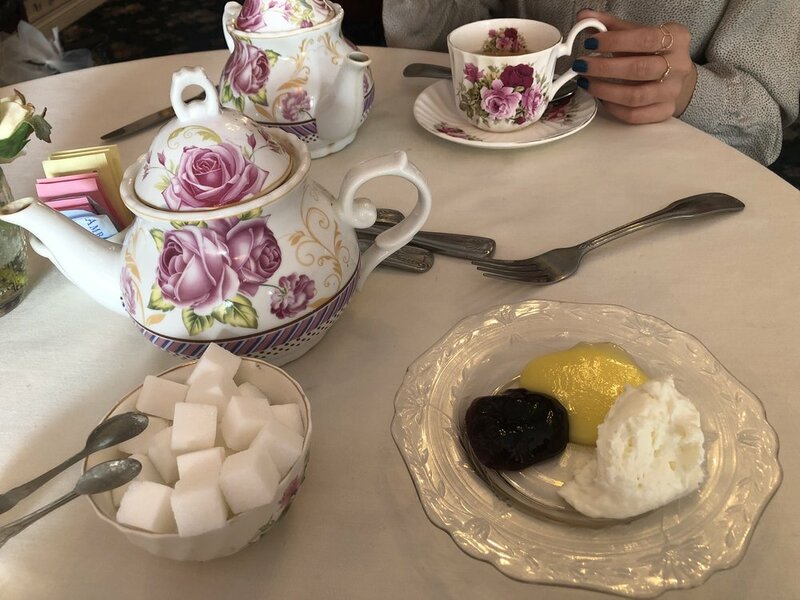 Nonetheless, coming to Elise’s Tea Room is less about the food and tea, and more about the experience. It is an excellent place to catch up with somebody and overall enjoy their company. Classical music is played throughout the room and for the few hours you are there, you can relish in spending time with a friend and “spilling the tea” with them. 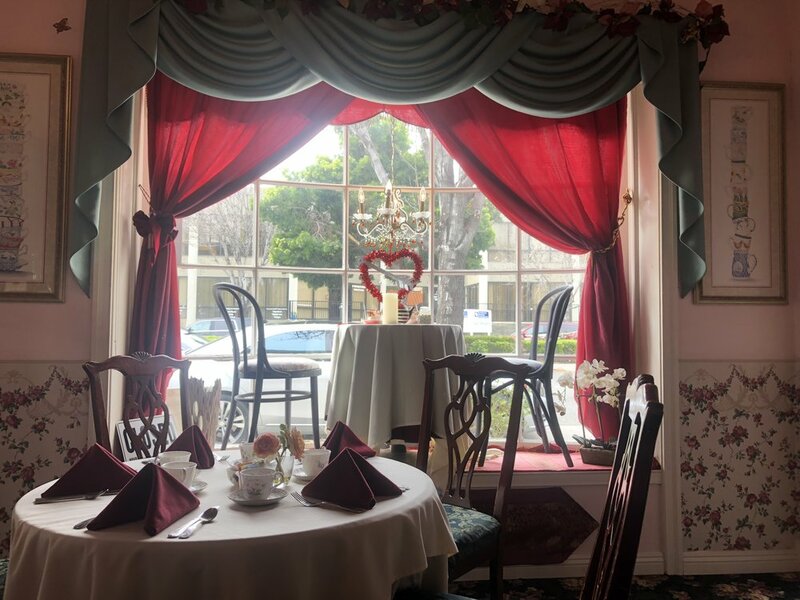 The tea room gives you an escape and a much-needed break from the bustle of life in Long Beach. You don’t even realize how much time has gone by until you look up and look at the clock.